After 17 years on the WA music scene it would be almost hard to believe that Murphy’s Lore are as sought after and highly regarded as ever. It comes as no surprise then that the band that shaped the careers of not one, but two Australian Idol stars in Courtney and Chris Murphy, continues to be a musical tour de force. 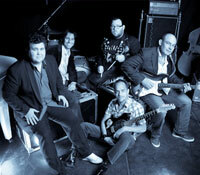 With residencies in Perth hotspots such as The Foundry, Paddy Hannan’s Burswood, The Paddo, as well as tours across Australia and South East Asia, their reputation for tight, crowd-pleasing performances grows ever stronger. 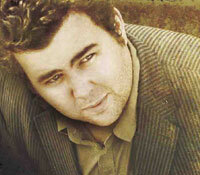 Murphy’s Lore will continue to be a shining light in the vibrant Perth music scene for many years to come. As one of the final three on ‘Australian Idol’ in 2004, still the highest rating season of the popular Network Ten program, Courtney, along with fellow finalists Anthony Callea, Ricki-Lee Coulter and Casey Donovan, quickly became one of the most recognisable new artists in Australia. His extraordinary voice and dynamic performances garnered him praise from the viewing public who embraced his soulful interpretations of popular hits and hidden gems, as well as his happy-go-lucky persona and quirky sense of humour. That is by no means to underestimate the enormous contribution of the band, Murphy's Lore. For 15 years, the group has toured WA and the rest of Australia tirelessly, managing to maintain a career and a level of esteem few other working bands can equal. In much the same way The Beatles had Hamburg, Germany, Murphy's Lore used rural WA as their platform, honing their live performance skills before wary B&S crowds in remote locations, keen to see what a bunch of city boys could do. Their reputation gathered momentum, eventually launching them onto a series of successful residencies across some of Perth's most well-known and best-loved pubs and clubs, including Metropolis Fremantle, Paddy Hannan’s and The Ruby Room at Burswood, The Foundry and The Deen. 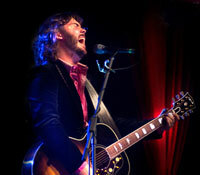 Chris Murphy is best known to the nation for his electrifying performance of Evie (Part 1) on Australian Idol 2006. Marcia Hines noted that it was "One of the most exciting performances we've ever seen on that stage" and Mark Holden awarded it a "Touchdown". 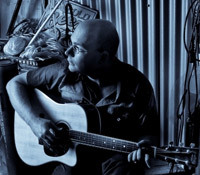 A professional musician with 12 years experience, 4 original album releases, national TV appearances and numerous songwriting awards under his belt, Chris Murphy delights audiences from all walks of life whenever and wherever he plays. 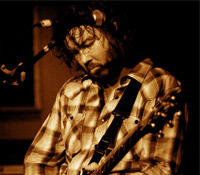 After a 15 year stint in popular Perth band ‘Murphy’s Lore’, Chris Murphy decided it was time to spread his musical wings. And so, ‘Chris Murphy & the Holy Rollers’ were born! 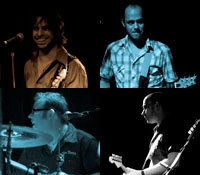 After a couple of line-up changes, the band has become settled with 5 of WA’s finest. With a combined experience totalling 60 years, CM & the HR’s have done the biggest and the smallest gigs there are to do, and some medium sized ones too! With a repertoire that focus’ on the classic rock and pop from all generations combined with the original songs from Chris’ solo albums, ‘Chris Murphy & the Holy Rollers’ keep audiences rockin’ and listening and listening and rockin’ and rockin’ and listening. Everyone wins. Old School rock has never sounded so new! 10 years after a gig that was supposed to be a 'one-off', Wesley Goodlet Jamboree Scouts have well and truly proved that having a long and unwieldy name is no impediment to success! 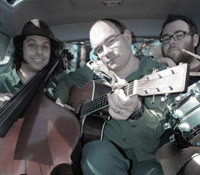 Originally a side project for three members of popular Perth group "Murphy's Lore", The Scouts (or Wesleys), as they are more commonly known, bring their unique sense of irreverence, humour and musicality to their acoustic-based performances. The songs in their setlist highlight the immense vocal talents of the trio, as well providing a welcome spin on popular classics that don't often receive the stripped back acoustic treatment. You've never heard The Cure or The Human League quite like this…! A typical working work sees me playing three solo gigs, a Murphy’s Lore gig and a Wesley Goodlet Jamboree Scouts Sunday session. A typical solo performance will see me playing songs from various eras and styles, trying to appease the audience I have in front of me: from Cat Stevens to Eskimo Joe; from the Beatles to Neil Young. I enjoy taking requests and throwing in the occasional original tune. 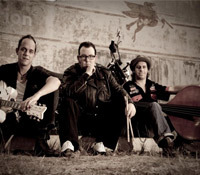 Formed over nine beers and a mutual love of all things rockabilly; country licks, standing up, thumping bass, slapback vocals and songs about cars and girls, the three chaps who form the powerhouse backbone of erstwhile Perth pop rock band Murphy's Lore decided that their time was NOW. Rockabilly music, if it needs to be pigeonholed (and it really doesn’t, however), is a country and rock and roll crossover that defined the late 50’s and brought stardom to Elvis, Roy Orbison, Carl Perkins, Jerry Lee Lewis and Johnny Cash amongst many others. While the Stray Cats and other noted revival artists have added a distinctly punk ethos to the rockabilly epithet, no one can deny the raw energy and pure fun delivered by swingin’ rockabilly tunes. 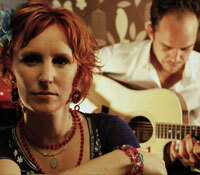 Midnight Sun are an exciting new collaboration between seasoned WA performers Kat Kinley and Jason Smith. Together they have formed a quality acoustic sound, playing an impressive catalogue of songs across a wide variety of styles & genres. These 2 gifted musicians have been making waves separately for over a decade, and have now formed a dynamic musical partnership, creating something quite special.